By default every new blog register with blogger.com is entitled to a standard Orange Blogger favicon. Which makes blogger blogs stand out in the mist of the lot. It is a part of their trade mark of recognition among many other organization that serve as a blog platform. The good news is that you can customize this favicon to suit your site and also make your site stand out. But the question is how? In this post we would learn how to that with few easy steps. What is a favicon by the way? The picture below represents what a favicon is. consider the arrows !!! Why add a custom Favicon? It shows your uniqueness and identity of your blog and your handy work. It is just an easy way of differentiating your blog from many.. .
At this point it is assumed that you have already designed your favicon for your site and now ready to have it displayed on your site. If you have not, then try to design it. NOTE: the favicon image you will design should be a 16X16 pixels image, If it is more than that try reducing it other wise it would not work. #3 Navigate to your blogger layout as shows on the image below. #5 Upload your favicon image and save your template. #6 Wait for a while and watch your favicon display. 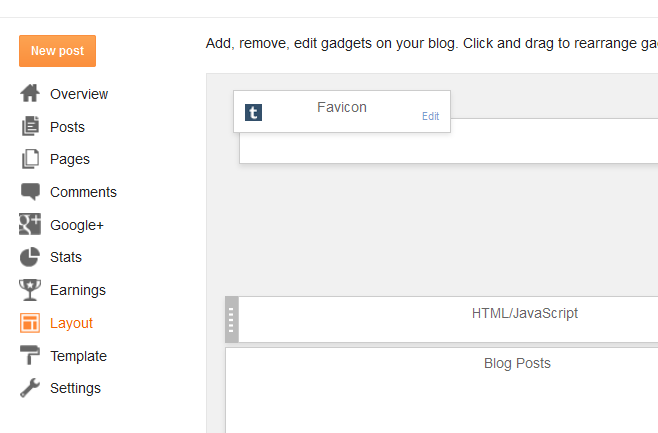 Congratulation you have been able to install a custom favicon to your blog. Happy Blogging. Have any problem please let us know.